Trying to decide whether you’d prefer to book a Milford Sound day tour or get there by yourself? 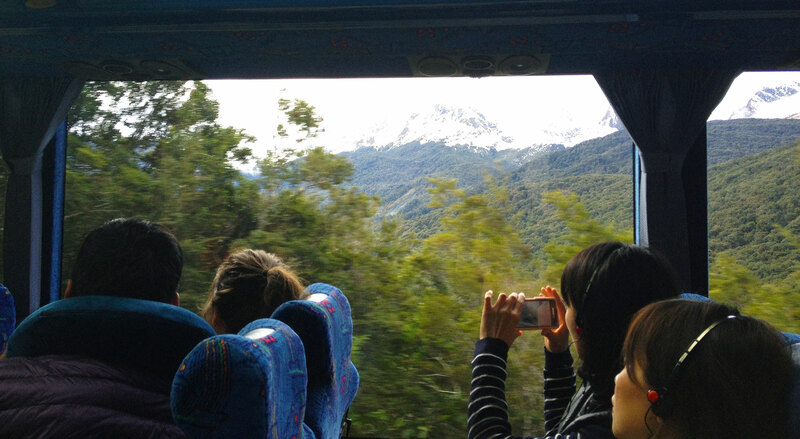 Here are our best reasons to hop on board a bus or coach and let yourself be taken away on a magical Milford Sound adventure! The road from Queenstown to Milford Sound is long, windy and can be dangerous in bad weather. So it’s great to be able to sit back and relax while someone else does the driving. Even better if they’re a seasoned professional who knows the road like the back of their hand! Visiting Milford Sound is one of those rare experiences where the journey there is just as amazing as the destination. 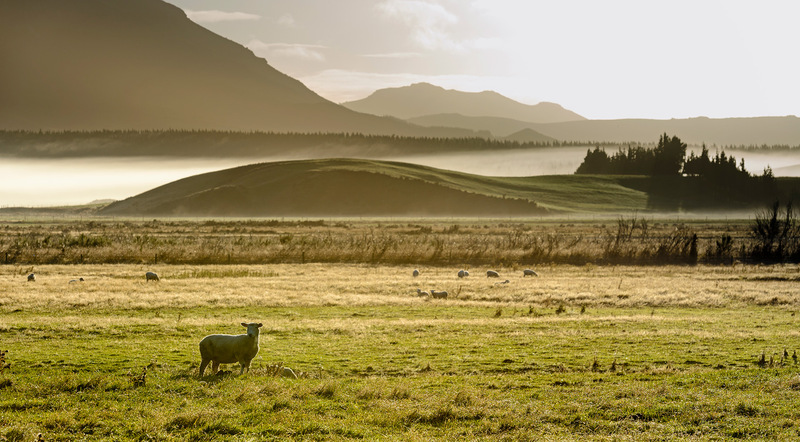 By the time you arrive at Milford Sound you’ve already feasted your eyes on huge soaring mountains, travelled through valleys carved out by gigantic glaciers, and marvelled at the powers of nature at places like the Eglinton Valley and the Chasm. But be careful to save some space on your camera or phone for the main event! 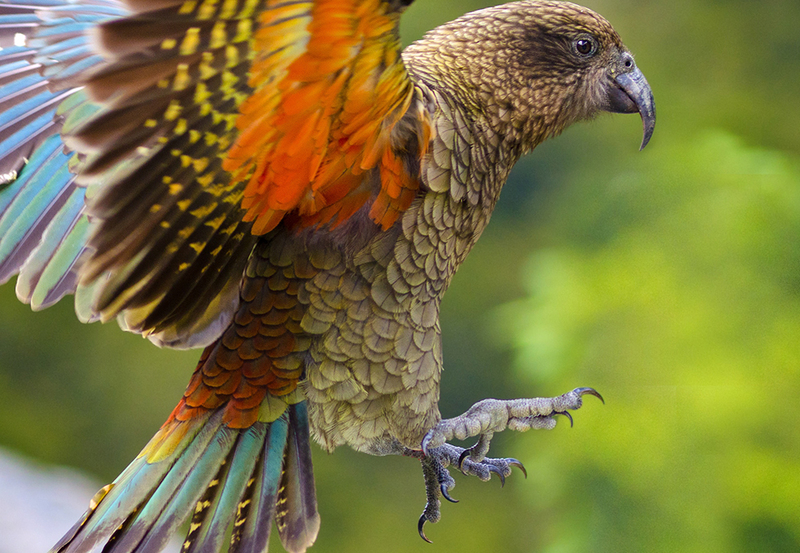 A Milford Sound day tour is a great way to learn about some of New Zealand’s most interesting creatures, and hopefully see some up close! 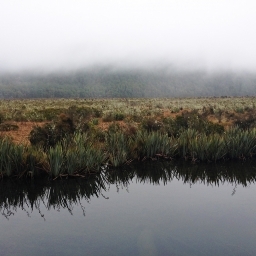 On your way to the fiord you might see some cheeky kea or rare whio (ducks) at Monkey Creek, see or hear other native songbirds as you walk to the Chasm. 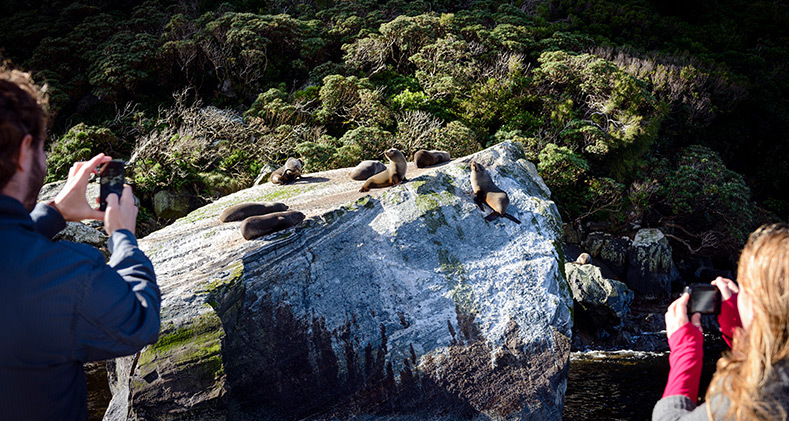 And during your cruise you could see seals, dolphins, penguins or maybe even whales. This should go without saying, but of course your cruise on Milford Sound is going to be one of the most memorable moments of your life. Rain or shine, the fiord is spectacular with its towering mountains, sheer rocky cliffs and waterfalls tumbling down out of the heavens into the sea below. You’ll want to soak up every moment of it and take plenty of photos. You might not believe us, but it’s true. 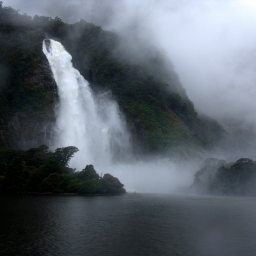 Everything about Milford Sound is amazing and you’re pretty much guaranteed to have a wonderful day during your tour. But the thing that tops it all off and makes it extra special is the service you’ll get from your driver. From the moment you’re welcomed on board to the time you step back off at the end of the day, you’ll be looked after by a friendly local and entertained with all kinds of interesting and funny facts about the region, our history and culture, and so much more.